Pahela Baishakh (Bengali: পহেলা বৈশাখ) or Bangla Nabobarsho (Bengali: বাংলা নববর্ষ, Bangla Nôbobôrsho) is the first day of Bengali Calendar. It is celebrated on 14 April as a national holiday in Bangladesh, and on 14 or 15 April in the Indian states of West Bengal, Odisha , Tripura and part of Assam by people of Bengali heritage. 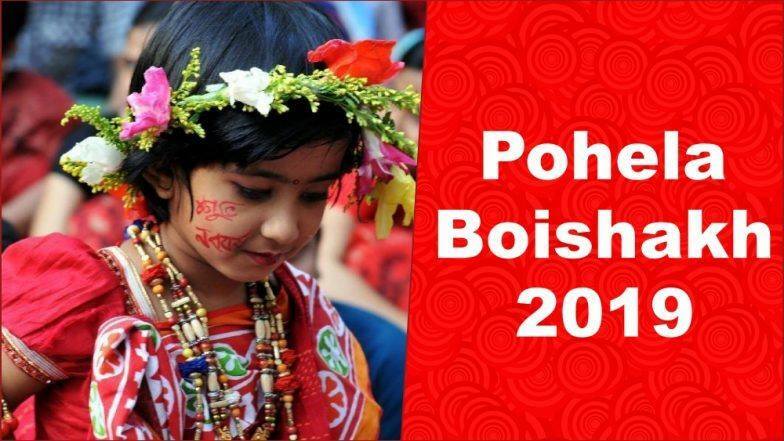 The festival date is set according to the lunisolar Bengali calendar as the first day of its first month Baishakh. It therefore almost always falls on or about 14 April every year on the Gregorian calendar. The same day is observed elsewhere as the traditional solar new year and a harvest festival by Hindus and Sikhs, and is known by other names such as Vaisakhi in central and north India, Vishu in Kerala and Puthandu in Tamil Nadu.